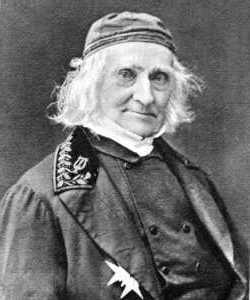 Elias Magnus Fries (pronounced 'Frees') was born on 15th August 1794 in the little town of Femsjö, in the Småland region of southern Sweden, an area particularly rich in fungi - as indeed it is even to this day. It was this opportunity, plus the botanical education that he received from his father, the pastor at the church in Femsjö, that fostered what was to become a lifelong interest in fungi and the study of what today we know as the science of mycology. Fries entered Lund University (as indeed had Linneas before him) in 1811 to study botany, in which subject he graduated 1814; his dissertation was on the flora of Sweden. Upon graduating he was made an Associate Professor of Botany and, in 1824, Professor, a post in which he remained until 1835. While at Lund, Fries produced his groundbreaking three-volume Systema Mycologicum (1821 - 1832) - a 'System of Mycology' - in which he - Classified fungi by the physical characteristics and forms of their fruitbodies - in particular the spore colour and the structure of their spore-bearing surfaces (gills, pores, teeth, folds, smooth surface etc, termed the 'hymenophore'). This seminal work is the foundation of much of modern mycological taxonomy for all except three groups of fungi (for which Christiaan Hendrik Persoon is the undisputed founding authority). 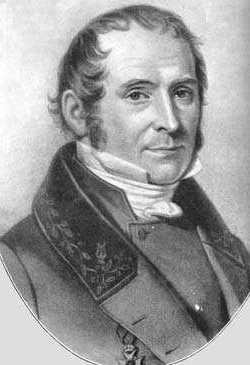 In 1834 Fries was appointed Associate Professor of Applied Economics at Uppsala University, and in the same year he became member of the Linnean Society. Elias Fries also produced several other works on fungi and on European lichens, as well as major publications on the flowering plants of the whole of Scandinavia. The picture above is of Elias Magnus Fries as an octogenarian. Note the young man's enthusiastic twinkle in the eyes of the old man. Still at Uppsala, he worked tirelessly and by all accounts happily right up to his death on 8th February 1878. The abbreviation Fr. is used to indicate Elias Magnus Fries as the author when citing a botanical or mycological name. Sveriges atliga och giftiga Svampar (1860) - with colour plates!